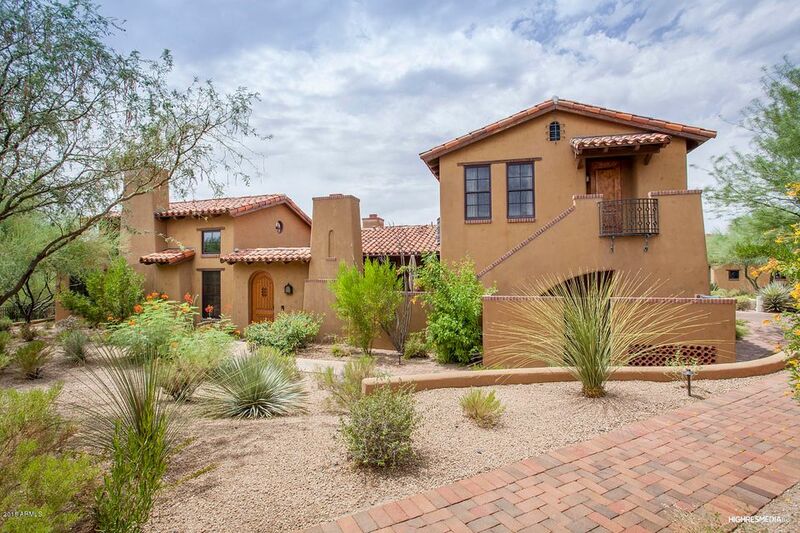 All DESERT MOUNTAIN Haciendas homes currently listed for sale in Scottsdale as of 04/25/2019 are shown below. You can change the search criteria at any time by pressing the 'Change Search' button below. "The Haciendas with its own Village Pool, Spa & Fitness Center, offers Desert Mountain Luxury Lifestyle in a warm and inviting enclave of homes, enjoying the best of Desert Mountain while maintaining an active lifestyle. This gorgeous 3 bedroom 3.5 bath home, surrounded by lush landscaping, community water features and walking paths is waiting for you. Private-gated courtyard outdoor-living area welcomes you with cozy fireplace and water feature surrounded by window walls of the SINGLE-LEVEL main"